7 Matcha Sweets to Die for in Kyoto! Bitter yet fragrant, Matcha green tea is one of the cornerstones of Japanese tradition. Today, various stores around Kyoto serve unique sweets that blend traditional Matcha green tea with today’s favourite tastes. Here are some recommended shops that serve fantastic Matcha sweets! Marukyu Koyamaen is a green tea store that has received various accolades over the years. It is one of the best places to enjoy various Matcha sweets while viewing the beautiful Japanese-style garden. 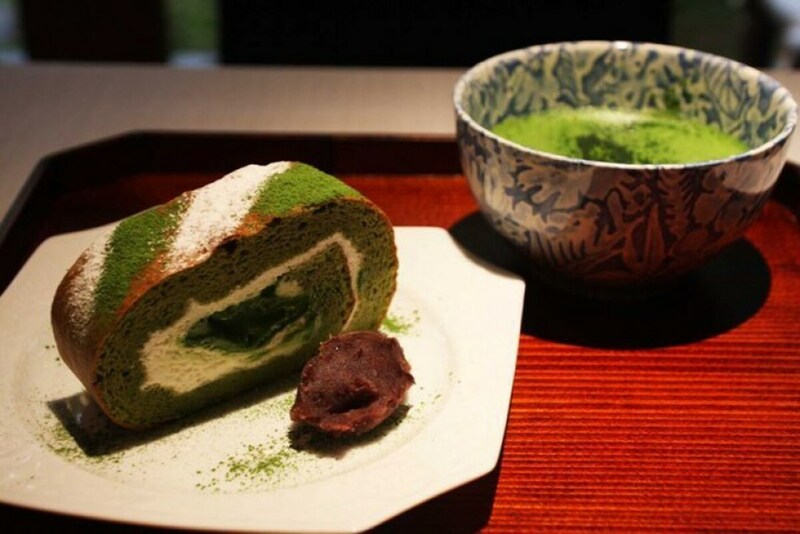 The shop is most famous for the Matcha Roll Cake set where you will be served with a delightful Matcha Roll Cake together with a choice of drink such as Matcha Green Tea, Matcha Soda, Hojicha (roasted Green Tea) and more. The roll cake has a splendid balance between milk and Matcha and its bitter-sweet fragrance creates a heavenly experience as it spreads through your mouth. Warabi Mochi is a type of jelly-like Japanese sweets made from bracken starch. Various flavours of Warabi Mochi are available such as plain, Matcha and sakura. At Saryo Suisen, it is recommended that you try the Matcha Warabimochi that is made on the spot when you order it. The warm Warabi Mochi is so smooth that it requires extreme skill to pick up with chopsticks. Served together with the Matcha Warabi Mochi are red beans and Shiratama Dango, a type of Japanese dumpling. You can also pour some Kinako (toasted soy bean sauce) and black sugar syrup for more sweetness! Umezono Café & Gallery is a café that is the sister store of Kanmidokoro, a shop famous for splendid Mitarashi Dango (Japanese dumpling with soy-sauce based sauce). Umezono Café & Gallery is a café that blends Japanese flavours and modern favourites together and there are various sweets available such as Warabi Mochi. The most popular menu there is the Matcha Pancake. The thick and soft pancake made from egg is almost like Soufflé, and the fragrance of Matcha permeates your mouth once eaten. The Matcha pancake comes with black sugar syrup and red beans but it is recommended that you try it plain for the first few bites. It’s that amazing! nicotto&mam is a donut store located near Karasuma Oike station where about 6 - 8 varieties are sold each day. The menu there are rotated among the days with flavours ranging from plain, chocolate to cinnamon. 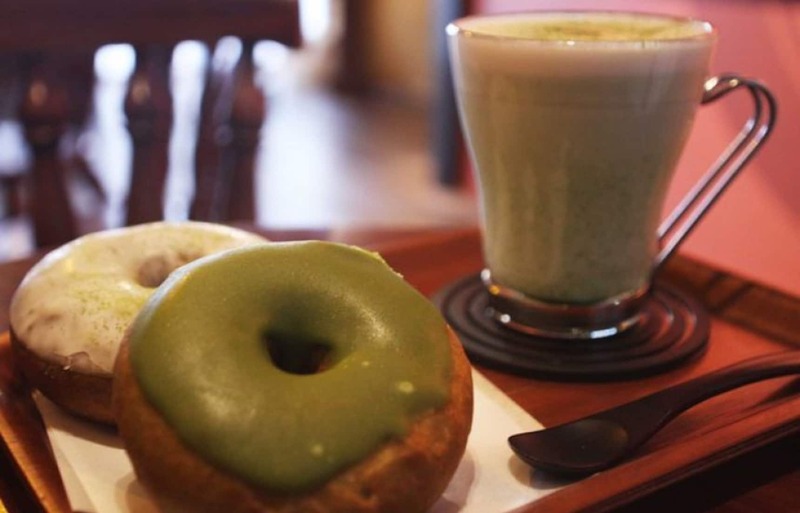 Of the choices available, it is recommended that you try the Matcha Milk flavour and Matcha flavour donuts. Matcha is blended together with white chocolate and forms a creamy coating on top of the fried donuts. The donuts, despite being fried, are not oily at all and they are fantastic when enjoyed together with red tea. During summer, nicotto&mam also serves other sweets such as Matcha smoothies.